American schools and universities are known for the limited opportunities they provide students to learn to understand global affairs. Over a decade ago, I participated on a panel of the National Research Council to evaluate federally funded programs of international and foreign languages in colleges and universities. We found that a large gap exists between the growing demands for global awareness and skills for collaboration in an increasingly interdependent world, and the skill set with which most graduates leave college in the United States. Such limited global awareness constrains opportunities for Americans, for the United Sates and may, unintentionally, endanger the world. A case in point is the withdrawal of the United States from the Paris climate agreement, which will undermine global efforts to curb global warming. The recent news about UNESCO provides educators with a chance to better engage their students in global affairs. It was in the middle of WWII, in 1942, that the governments of the European countries confronting Nazi aggression convened a conference of Ministers of Education to discuss how international cooperation would help accelerate the reconstruction of the education systems the war was decimating. Three years later, in 1945, the United Nations convened a conference to design an education and cultural organization. The United States joined 43 other countries in establishing an organization that would create and sustain a culture of peace to prevent another major war. Towards the end of 1946, the first General Conference of UNESCO convened representatives from 30 governments in Paris. 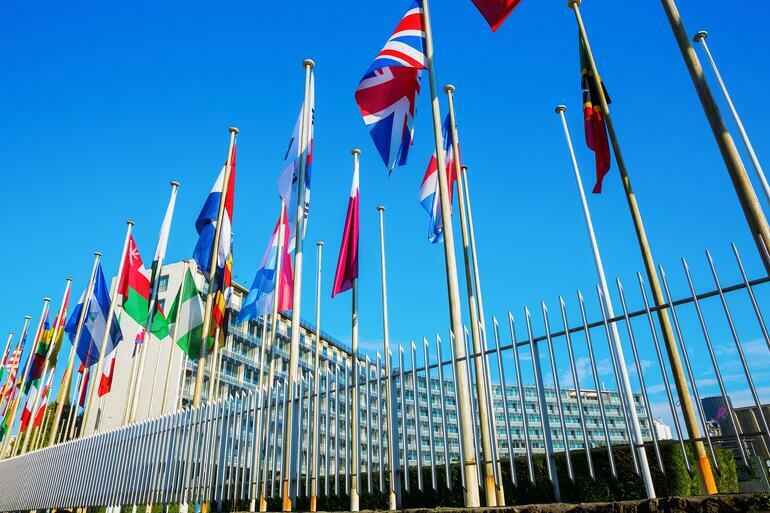 The US had previously partially withdrawn from UNESCO, suspending its financial contributions. The first time, in 1989, because the US administration perceived that the organization was tilting towards the Soviet Union. The United States resumed its contributions to UNESCO in 2002. The US suspended financial contributions to UNESCO again in 2011 because the organization granted membership to Palestine. The recent decision of the US Government is to withdraw completely as a member. It is not self-evident how withdrawing from a global institution, which the US helped establish to promote international collaboration around education, culture, and science, advances any US or global interest. Throughout its history, UNESCO spearheaded and contributed to a global education movement, which transformed the shared experience of humanity, to mention only one of the areas in which it focuses. In 1946, the vast majority of the world’s children did not have access to school. They do today, in part, because of the efforts of the professionals who work in UNESCO and the programs they advance. That about 1.2 billion people are enrolled in educational institutions today as a result of the global education movement UNESCO started, is a remarkable accomplishment for an organization to which the United States would contribute about 80 million dollars a year, accounting for about 20 percent of its budget. The US contribution would represent less than 0.4 percent of the 21 billion dollars, which the US Department of State spends in international assistance. Just as worrisome as this recent decision of the administration is, is the silence with which the education community and the public have received the announcement. Join Fernando Reimers on November 8 from 3:00 p.m. - 4:00 p.m. US EST for a webinar with Facing History: “Teaching About UNESCO.” He’ll draw on two lessons and his new book, Teaching Two Lessons About UNESCO and Other Writings on Human Rights, to focus on understanding UNESCO’s mission, its relationship to the Universal Declaration of Human Rights, and the implications of the United States’ decision to withdraw from the organization.